The holidays ar e fast approaching and that means family gatherings, holiday parties and plenty of precious memories in the making. Why not take some helpful hints from the experts and create visually appealing photos that everyone will love? General Imaging, the worldwide exclusive licensee for GE digital cameras, has prepared easy to implement tips that should make your holiday photos the center of attention. 1) Get closer – Some of the best photos you can take are close-ups of friends and family. Try using the zoom lens to fill the frame with only the subject and any necessary context. By keeping the picture focused, your image will have greater impact, and not require a lot of explanation. To make sure you can get close, look for a camera with at least 3X optical zoom. 2) Use the grid – The “Rule of Thirds” is a time-honored visual principle to help guide your viewer’s eye to what is important in a photo. The rule calls for placing the main object(s) of a photo either one-third from the bottom, the top, the left or the right. 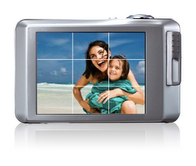 Check to see if your digital camera includes a 3X3 grid overlay feature that you can enable on the LCD screen. This grid can be instrumental in finding the right balance for your photo. 3) Be aware of any distracting elements – Unless you are aiming for a shot where everyone gets a good laugh, be aware of what is happening in the background. For instance, watch that you don’t have a Christmas tree growing out of the top of your subject’s head. Buying a camera with a large LCD screen with an auto-adjust LCD brightness feature can help you better spot these types of distractions to avoid them completely. 4) Spice up your group shots by being proactive – Group shots need not be boring. To create dynamic shots, start with a little bit of advance planning. Before your guests arrive, scout for a good location. Make sure the lighting is right, and determine ahead of time how you would like them to pose. Get creative with your composition – use your subjects to create interesting sight lines and added dimension by varying the elevation of the people in your group. Using a stepladder, stool or even balcony can be helpful tools. And make sure you charge your camera beforehand. 5) Change the way you hold your camera – Vertical or horizontal composition can have a major impact on the meaning and focus of a photo. Composing the shot vertically makes the subject exclusively the focus of the photo. Horizontal framing on the other hand, gives the photo a sense of place. If you’re unsure of which would look best, take both shots and you’re sure to have options. Armed w ith these simple and effective tips, the only remaining step is to make sure you have a great camera. GE digital cameras offer the latest features at an exceptional value. There are several models to choose from including: the Smart Series which is ideal for beginning photographers or those looking for a great value; the Power Series which offers advanced intuitive features; and the Active Series with includes a compact and waterproof camera. To help you take great shots, advanced features are standard on the latest GE digital cameras. 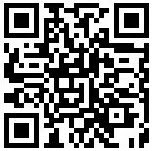 These include Pan-Capture Panorama, Auto Scene Detection, Blink Detection, Smile Detection, Face Detection, and more. For more information about entire line of GE brand digital cameras, please visit www.ge.com/digitalcameras/us. Those are great tips for holiday photos! Thanks!